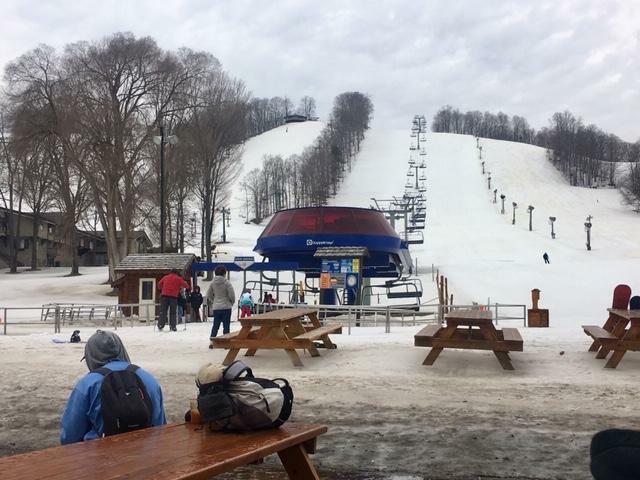 I thought my trip trip to Caberfae Peaks was going to be the end of the season for me and if my daughter hadn't been sick it would have been. 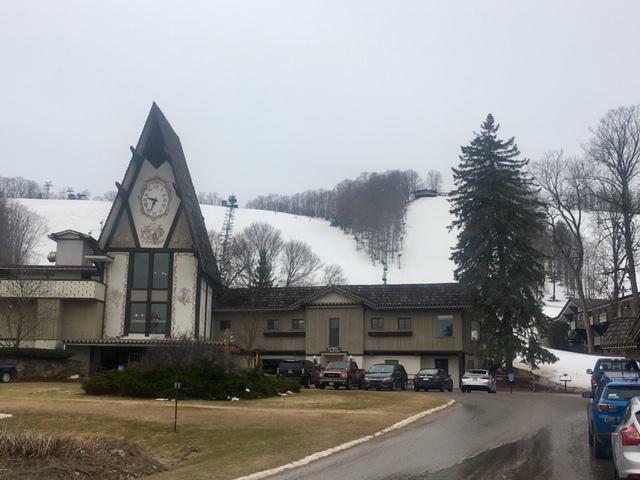 Well Boyne Mtn is still open and they had a good online lift ticket deal and April 6th was Megan's 25th birthday and she has always wanted to go skiing for her birthday. so my season wasn't over after all. After gettting our lift ticket and putting on the least amount of outerwear as possible we headed out. 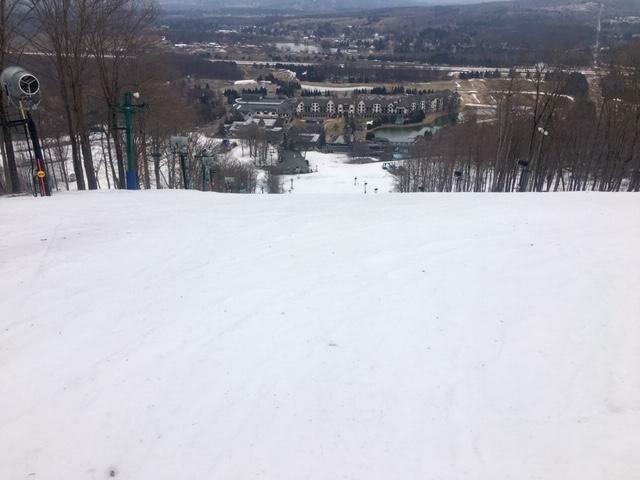 It was already 55 out with a forecast of a high of 65, The snow was still very firm, but not icy, but with each run you could feel it get softer and softer. 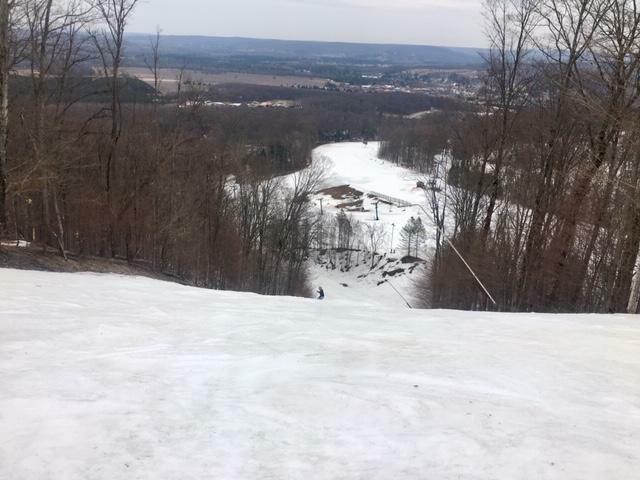 Boyne still has a good 2'-4' base left on snow making trails. They have once again offered Mt Bohemia the challenge to see who can stay open longer. Last year Boyne won and Mt Bohemia paid a $1,000 to Boyne's charity of choice. It end up being a hazy sun day with a high of 68. I have never skied in weather that warm, No gloves were needed and just a sweatshirt. the snow turned soft but never became too soft. There were maybe two dozen cars in the parking lot, at times it was like your own private ski hill. In the end it was a great way to close out the season with who in my opinion is the best ski partner there is. 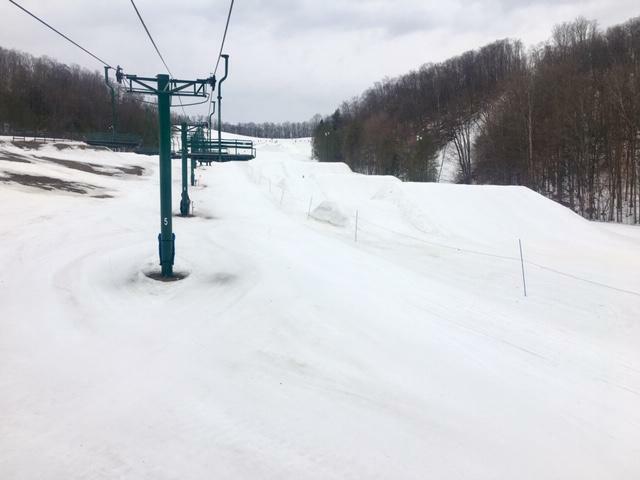 I would also like to thank the people on NY Ski Blog for taking an interest in some mid west skiing this past season, it has been a great season and looking forward to next season already. 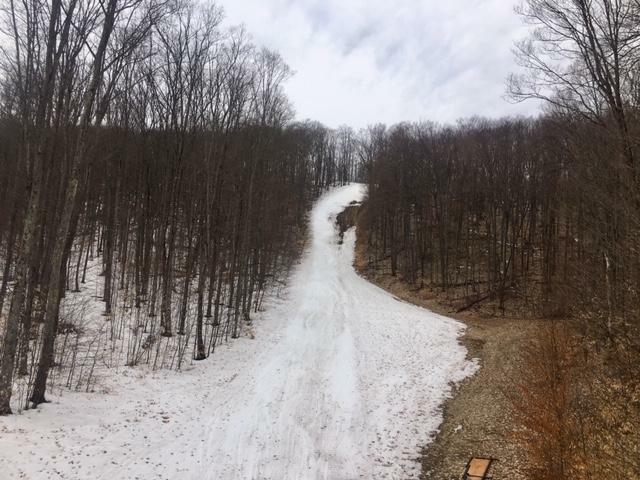 Nice way to close the season, MI Skier. Agreed, the NYSB is very welcoming to reports from the outlying areas, as we Hinterlandians (and AZers) have discovered. I love that father and daughter ski stoke! It looks like you two have a lot of fun skiing those Michigan bumps, good on ya! 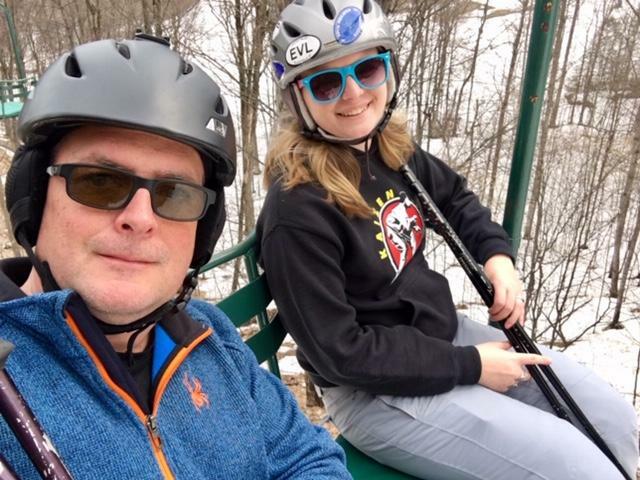 My daughter turns 25 next month , and she still wants to ski with me. They have once again offered Mt Bohemia the challenge to see who can stay open longer. Last year Boyne won and Mt Bohemia paid a $1,000 to Boyne's charity of choice. Good to see that Mt Bohemia is fiscally sturdy enough to put $1,000 on the line. Something tells me that Laz at Plattekill wouldn't risk money like that, although I guess it can be considered a marketing expenditure. I am not sure if Bohemia has accepted the challenge this season or not. 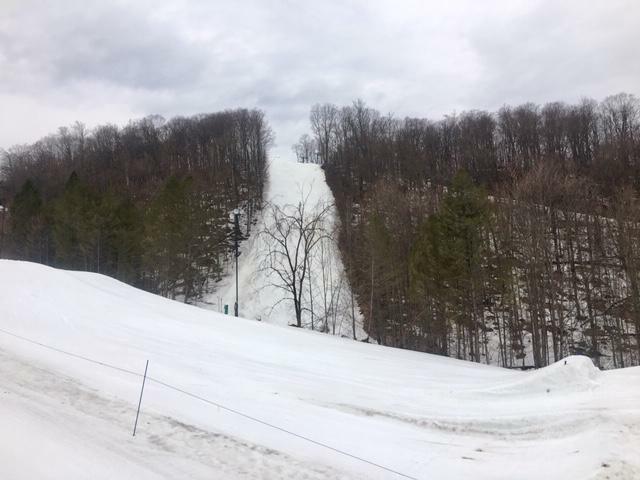 It's really not a fair challenge, Boyne grooms which late in the year can help a lot by pushing the snow around to cover bare spots. Great dad and daughter ski stoke . 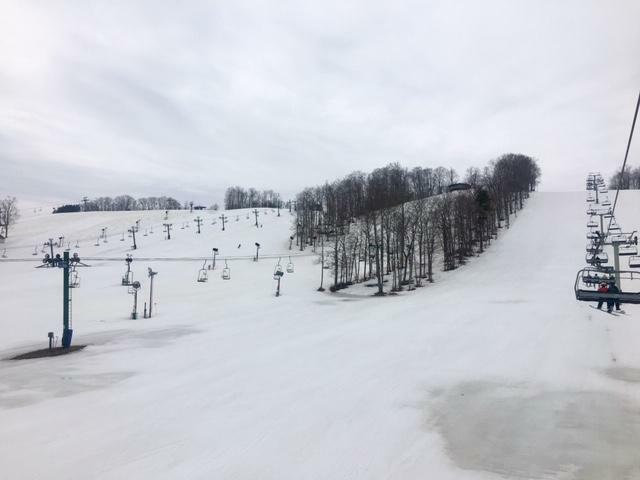 I really enjoy your reports and pics about Midwestern skiing . The whole focus of making memories with ski adventures with those you care about is pure gold . We have boodles of these same kinds of photos kept both in scrap books and digitally g and many really cool wall photo groupings and memorabilia scattered in various rooms in our home going back to the seventies with our extended family and friends .